There are many places in the world where the cars are as numerous as the people living in town. 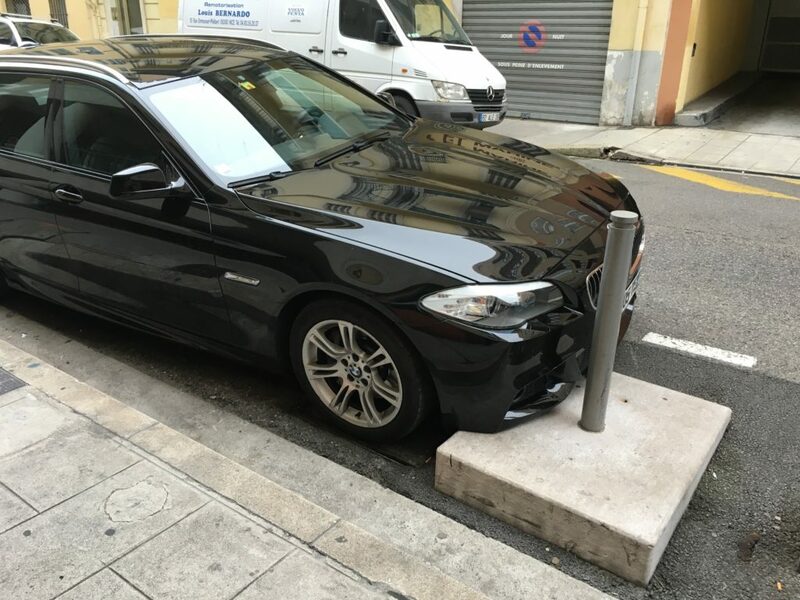 Nice France has a tradition of putting cars into any conceivable spot available. Sometimes this means when you come out of a store you will find a car double parked and blocking you. Other times it means you find cars in all sorts of weird, if not hilarious positions. I will never forget seeing this quite expensive BMW slammed in between a parking pole and another car. I measured, and there was exactly 3cm of clearance. Alas I never did see how that one pulled out. 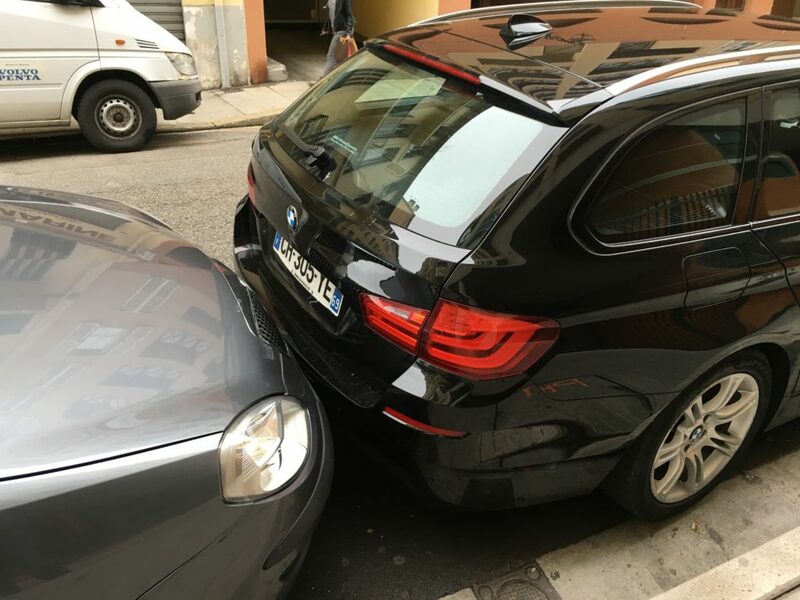 But I have been given the pleasure personally to have my car literally slammed and pushed (in realtime) to make room for a fellow citizen of the Côte d’Azur on more than one occasion.